Shadowborn Demon ($0.40) Price History from major stores - M14 - MTGPrice.com Values for Ebay, Amazon and hobby stores! 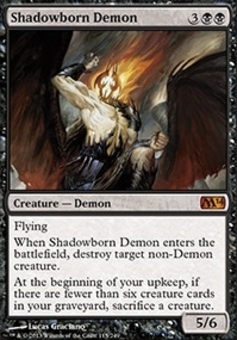 Card Text: Flying When Shadowborn Demon enters the battlefield, destroy target non-Demon creature. 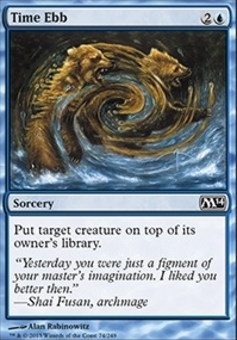 At the beginning of your upkeep, if there are fewer than six creature cards in your graveyard, sacrifice a creature.